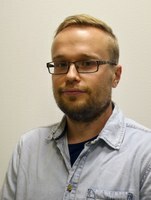 I am Teemu Häkkinen, a postdoctoral researcher of general history. In 2014 I defended my doctoral thesis on the British parliamentary role when deploying military forces abroad, and currently I am involved to a research project in which I examine the early history of the European integration through the Council of Europe. I am also interested in military narratives and especially memoirs, and I have published one article on British military memoirs in Finnish. It is my intention to continue with this hobby project also in the future. I am interested in various issues and themes. Above all, foreign and security policy decision making is an important theme, and the broad borderline between war and politics. The history of the European integration will be part of my research agenda also in the future. I am interested in British, German and Finnish political history, but I am always willing to expand my knowledge to other political cultures as well. At the moment I am funded by the Academy of Finland project Supra- and Transnational Foreign Policy versus National Parliamentary Government, 1914–2014 (2014-2017). Since January 2018 I will be acting as the leader of a research project that studies the political usage of defence spirit (maanpuolustustahto) in Finland, Sweden and Austria. This two-year project is funded by the Kone Foundation. I have visited KGParl in Berlin as a Visiting Fellow. Previously I have been funded by the Academy of Finland project Parliamentary Means of Conflict Resolution in 20th Century Britain (2010-2013) as well as the Emil Aaltonen Foundation. At the Department of History and Ethnology, I am part of a research center Comparative study of political cultures. You can find me from Twitter. ”The concept of the Royal Prerogative in parliamentary debates on the deployment of military in the British House of Commons, 1982-2003” Redescriptions. Political Thought, Conceptual History and Feminist Theory. Vol. 17: 2 (2014), p. 160–179. ”Parlamentaarinen päätöksenteko ja asevoimien käyttö. Tarkastelussa Britannian ja Suomen poliittisia keskusteluja asevoimien käytöstä 1990- ja 2000-luvun kontekstissa” (Title in English: Parliamentary decisionmaking and the use of armed forces. Examination of British and Finnish political debates on the use of armed forces in 1990s and 2000s) Politiikka, Vol. 57: 1 (2015), p. 1–17. “Challenging the Royal Prerogative: The Decision on War against Iraq in Parliamentary Debates in 2002–3” Parliamentary History, Vol. 35, No. 1 (2016), pp. 54-66. “Embracing values? The question of Finnish membership of the Council of Europe as a case of political value deliberation in European integration, 1987-1989” Journal of European Integration History, Vol. 22, No. 22 (2016), pp. 119-134. “Ovatko sotilaat politisoitumassa? Brittiläiset sotilasnarratiivit ja Afganistanin sodan poliittisuus, 2006–2012” (Title in English: Are soldiers becoming politicized? British military narratives and the politics of the war in Afghanistan, 2006-2012) Kosmopolis Vol. 46, No. 3 (2016), pp. 20-36. Taru Haapala & Teemu Häkkinen: ”Debating Federal Europe in the British Parliament, c. 1940-1949” European Review of History / revue européenne d histoire, forthcoming.